This morning, Google pushed two apps to Google Play for the first time, Contacts and Phone (or Dialer, depending on Google’s mood). The arrival of each shouldn’t surprise you, though I am a bit surprised it took this long for Google to do this, since they started decoupling their stock apps from Android long ago. With the Phone app, Google doesn’t seem to have updated much if anything, but the new version is available as v2.3.12. The Contacts app did get a new “streamlined contact editing” layout, along with “bug fixes and improvements” in v1.3.07. 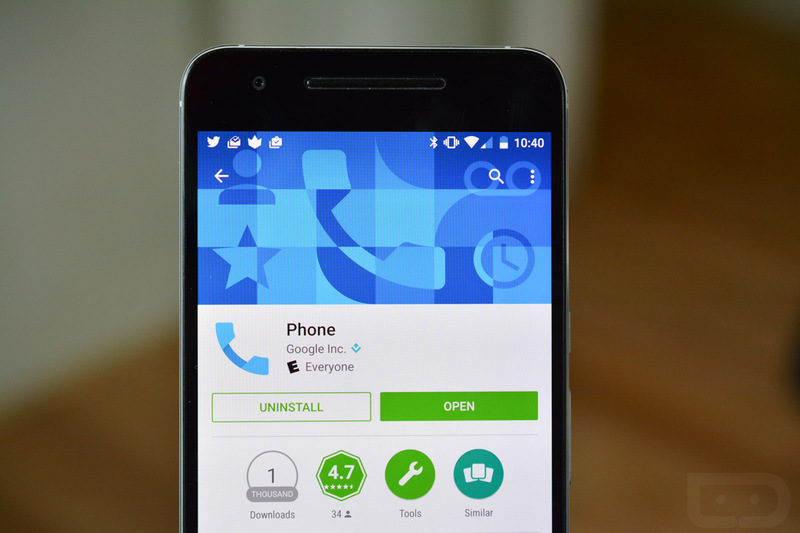 Edit: The Phone app has introduced call blocking, which yep, is awesome. Both apps are live on Google Play now and were available as updates to my Nexus 6P. At this time, though, they are only available to Nexus, Android One, and Google Play Edition phones running Android 6.0 Marshmallow. Update 12/2: Google pulled the app listings from Google Play.